Gym Layout & Design – Tower Fitness Equipment Services Inc.
Tower Fitness in Delta, BC, near Vancouver, provides fitness facility consulting with regards to gym layout and design. Tower Fitness Equipment Services offers the experience of our expert professionals to help with planning, design and construction of the ideal fitness facility or gym. There are many factors to consider when putting together a fitness facility. The key is to envision how the space will function once completed. How many pieces of fitness equipment would I like to fit into the space? Do I have enough space for the number of users that are projected to be using it at one time? What type of gym flooring will be needed? e.g. maintenance-free rubber flooring. Do I plan to have TVs in the facility or home gym and where would the ideal spot be, or perhaps personal viewing screens on the treadmills, ellipticals and/or bikes? Does the space meet the electrical requirements and placement of electrical outlets? 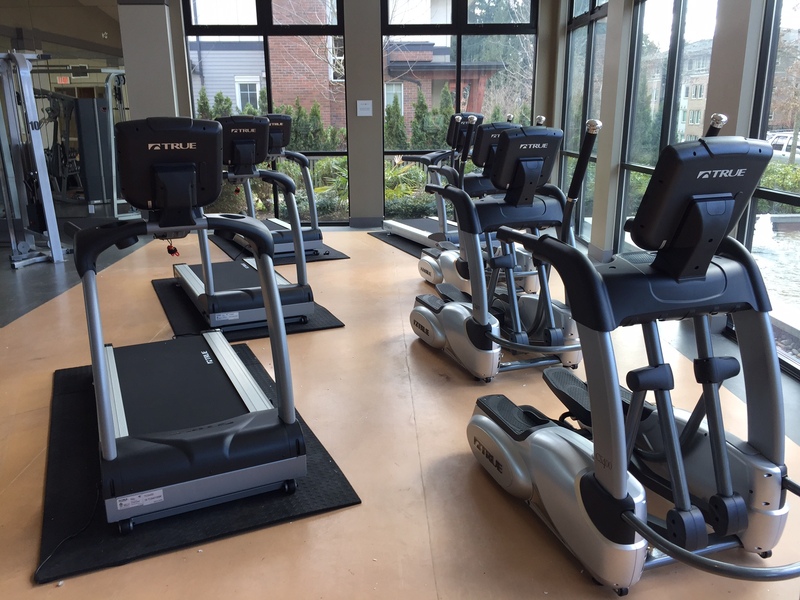 If you are still in the early phases of construction or renovation, an often overlooked aspect is the individual power requirements of each piece of fitness equipment. Planning ahead will allow the electrical outlets to be placed in the ideal locations to avoid tripping hazards and leaving a clean and tidy look. Is the space well ventilated? Do I have the ability to bring in fresh air or exhaust stale air? Am I able to regulate room temperature quickly to remain comfortable in various stages of the workout? What ceiling height is needed? When shopping for fitness equipment keep in mind the height of the tallest user as some fitness equipment can add between 1 and 2 feet to the overall height of the person. Should we upgrade the fitness equipment now? Tower Fitness will carry out an assessment/evaluation of current machines. We can make recommendations as to which pieces should ideally be kept and which should be replaced, taking into account your budget and requirements currently and in the future. Contact Tower Fitness for a comprehensive estimate for your home gym or commercial fitness facility project.